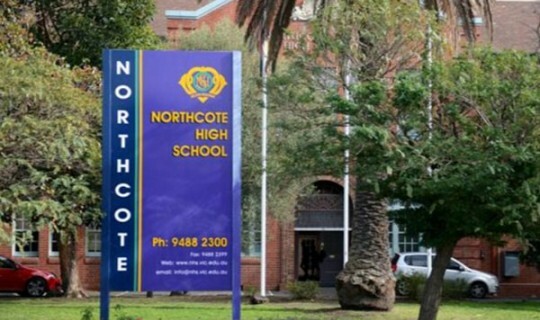 The Greek Community of Melbourne (GCM) will schedule a meeting with all the interested parties to ensure the continuation of the Greek language teaching program at the Northcote High School following the School Council’s decision to discontinue the teaching of Greek and Italian. The GCM will call a meeting of parents, teachers and other interested parties to discuss the issue in more detail and decide the next steps. On Tuesday morning, GCM’s vice president and Education convenor, Theo Markos and GCM’s member and former student of the NHS, Anna Giannatselis, met with the principal of the school, Katie Morris and the president of the school council to discuss the issue. "We have achieved a small but important victory," said Theo Markos after the meeting. "The Greek program will continue to be offered next year to NHS’s students and we have three months to convince the school council to continue to offer the program in the future. To ensure this we need the support and contribution of all. Also, in the next few days a meeting will take place with ministers Jenny Mikakos and Fiona Richardson.